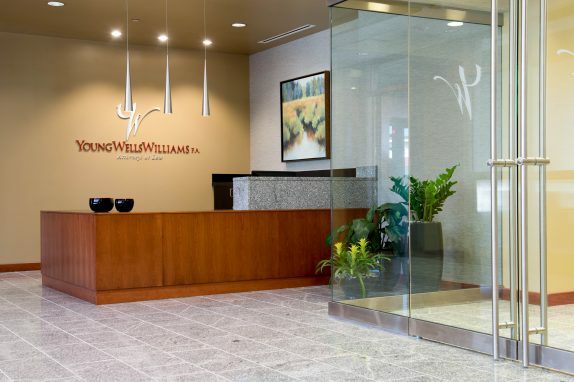 Relocating to a mixed use development gave Young Wells the opportunity to make a fresh impression and embrace change. 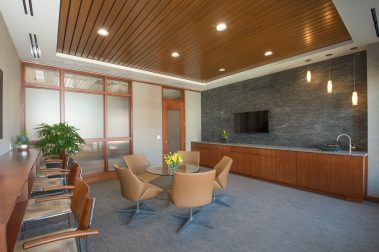 Their new offices incorporate the flavor of the traditional in a contemporary way. 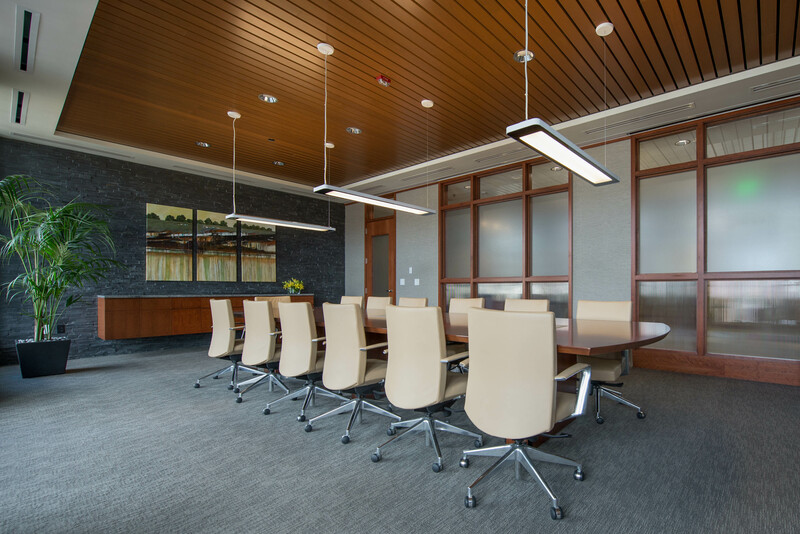 Cherry paneling and millwork, and granite flooring mesh easily with wood slat acoustical ceilings, textured glass, and sleek, energy efficient light fixtures. 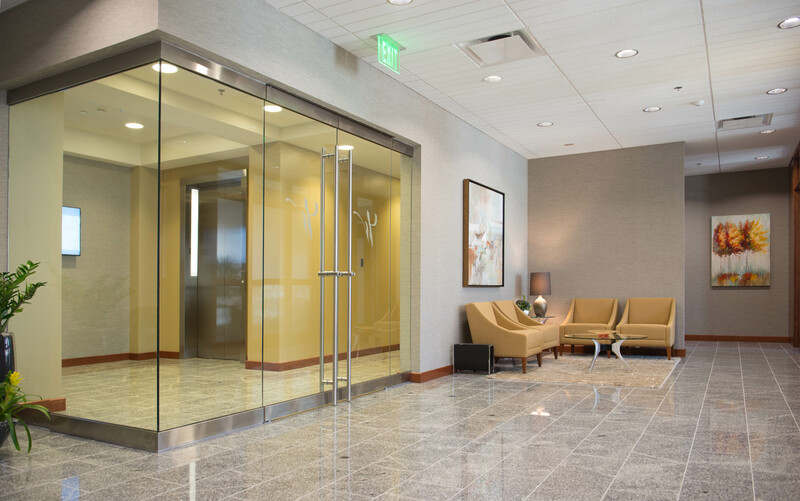 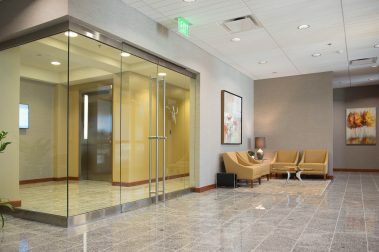 Side lites at the offices, and obscure glass at the conference spaces provide borrowed light for the interior areas and allow occupants to experience outdoor views. The furniture offers comfortable technology support and a relaxed feel. 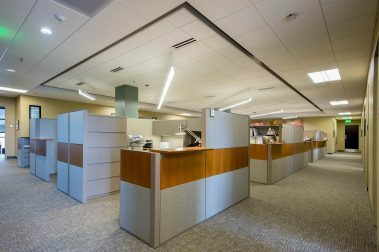 In the open administrative work area both the systems furniture workstations and the ceiling utilize components of various heights to add interest and volume.